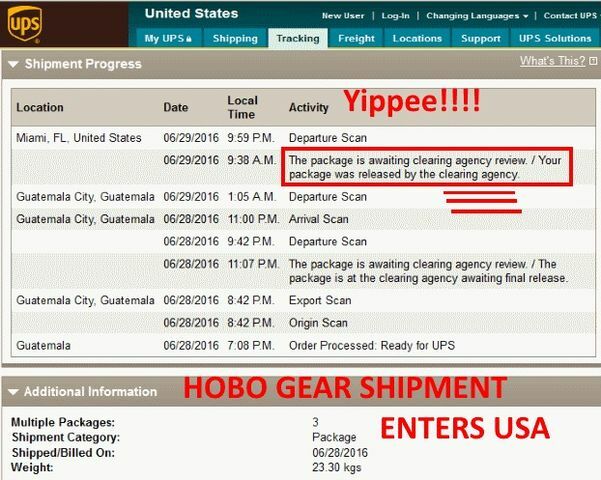 I hope, and believe my first large shipment of Hobo gear has cleared customs ,and is on the way to Amazon.com. So, you want to import products into the USA, or export from another country. Therefore, it appears logical that you would talk to companies, that say, Import / Export, but for the most part, this means they are doing the same as you. What I think we need, what I feel is correct, is we need a "Customs Clearing Agent." Actually, you need 2, one for the country your leaving, and another for the country you are entering with products. This is the person, or persons that hold our hand, and make sure we give them all the paperwork, so the shipment leaves the airport, or shipping container docks. I think then, when we want it to leave, we are talking about a freight forwarder. All in all, they will all promise, and under-deliver. So, here is the second part, you need a person that ships, puts together loads, and gives to custom clearing agents. A person who like package, and understands a few ways of shipping. In the end, go slow, start small, and do not trust anyone, and you will indeed talk to 30-40 people who will say they can do the job, before you find the one that indeed will do the job. Cleared first box shipped from Guatemala to Amazon.com in the USA.